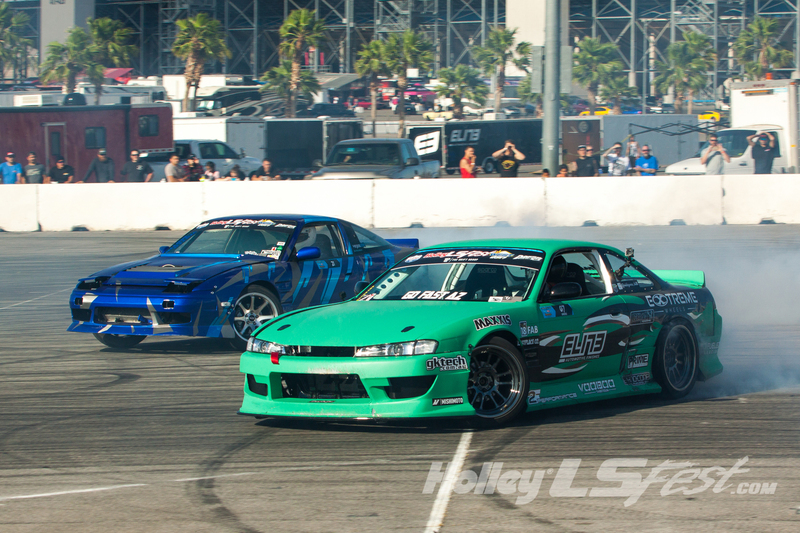 Born in the shipping yards and mountain passes of Japan, drifting has gained popularity over the last 20+ years and has evolved into a full blown sport not only in Japan but America as well. 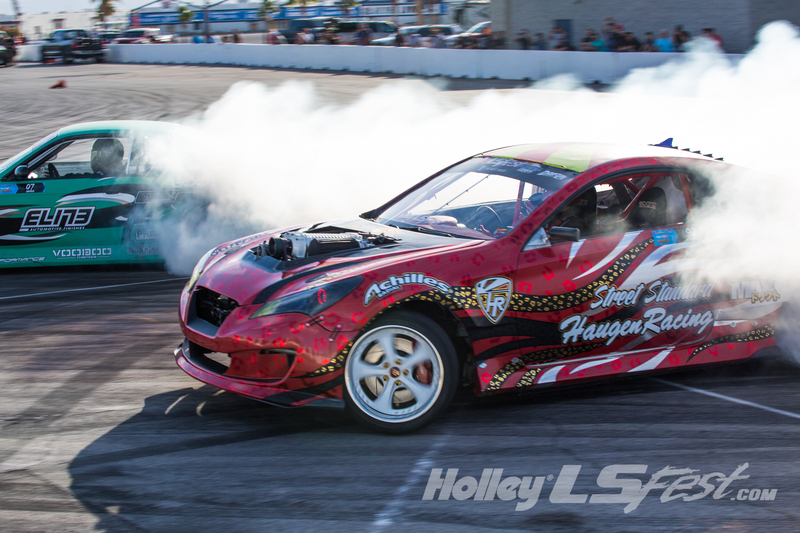 Pro series events like Formula Drift and amateur level events abound across the country. We’re glad to announce another Drift Challenge for the LS Fest schedule that will allow drivers to once again showcase their talent and compete for a $1,500 purse and great publicity! Second and third place take home $750 and $375 checks! This event consists of skilled drivers and their vehicles competing in tandem competition around a predetermined course to decide a winner. Drivers are evaluated by a panel of three judges that decide who advances to the next round based on three criteria: line, angle, and overall style. It doesn’t matter what make and model the vehicle is as long as it’s powered by an LS or current generation LT engine. If you are interested in competing in this invitation only event please send an email to driftchallenge@holley.com containing the following information: your name, address, phone number and car year, make, model. Send photos of your vehicle’s exterior, engine compartment, and roll cage. Then tell us (in 200 words or less) why you should be chosen for the challenge, and what professional skills/qualifications you have that will help you compete. Better hurry, as we’re only accepting a select amount. Deadline for entries is April 15th, 2019, so get those fingers typin’! 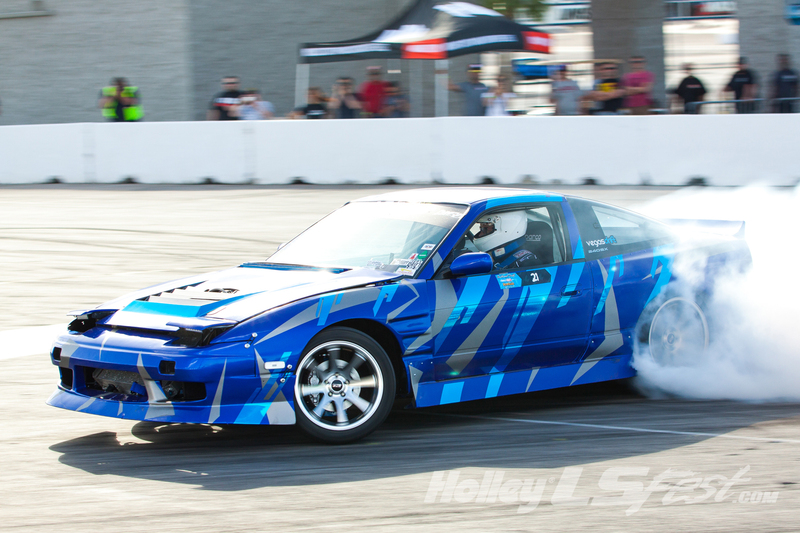 Click here for Drift Challenge Rules. There will be a tire changer for those who end up needing to install a fresh set to continue their side show, drifting, or drag racing efforts through the course of the weekend. That service will be provided by S&S Tires. Small fee will apply. Racer will be responsible for their old tires. 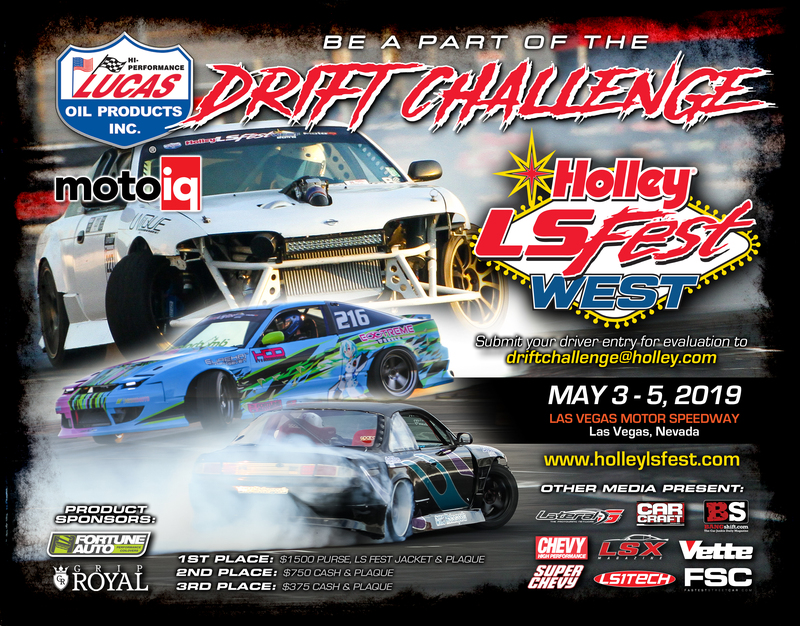 Submit Your Entry to driftchallenge@holley.com For Consideration Now!